Emily Sikkel possesses a friendly demeanor that is immediately evident upon meeting her. A dancer since the age of two, she loves ballet, jazz, and just about any form of dance, but her passions also extend into the world of design. “I’ve always wanted to do something with art and design,” she states emphatically. 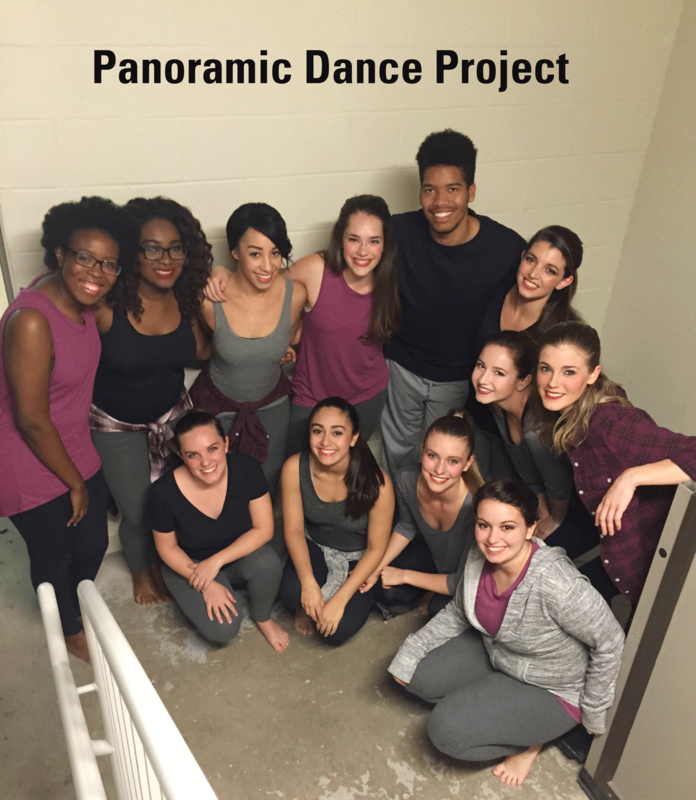 Another design student, Matthew Wright, who is a sophomore in Graphic Design, is also a member of the Panoramic Dance Project. “Being a member of the ‘Panoramic’ is rewarding because you are exposed to a wide range of dance genres, and you have the opportunity to build strong connections with other talented dancers and artist,” says Wright. He is also an Arts Village Mentor and an active member of the African American Cultural Center here at NC State. Like Sikkel, Wright has a passion for dance and makes the time to participate in opportunities that interest him. Sikkel’s design project required teams of students to look at the disengagement of people and document their findings. Sikkel had to take pictures of people on their phones. Her team then developed an app, or a tool, that measured how people were using their phones and how this affected their daily interaction with others. Her dance performance and the development of the choreography allowed Sikkel to realize the importance of interaction with others and the impact that it creates. This translated into the ideation of the design project. Whether she is dancing or designing, Sikkel is a remarkable student who has a promising future. Just wanted to tell you, I enjoyed this article. It was funny. Keep on posting!